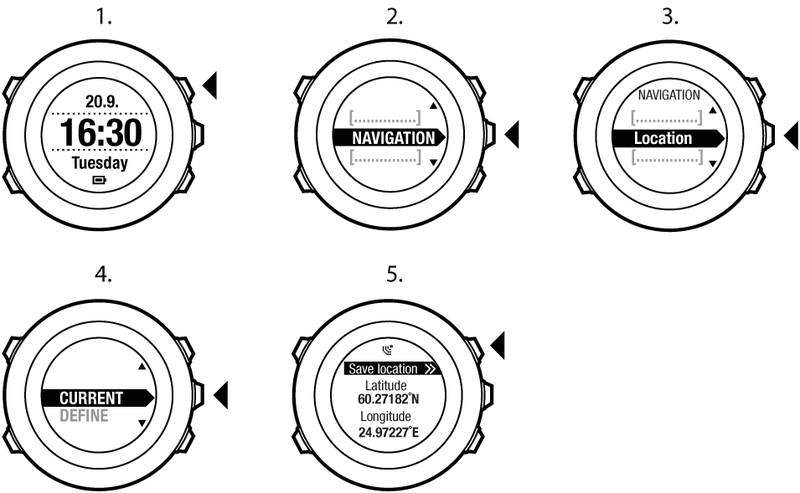 Suunto Ambit2 S allows you to check the coordinates of your current location using GPS. Scroll to Navigation using Start Stop and enter with Next. Press Next to select Location. Press Next to select Current. The watch starts searching for a GPS signal and displays GPS found after acquiring the signal. After that your current coordinates are shown on the display. You can also check your location while you are recording an exercise by keeping Next pressed to access the options menu.